A variety of programming is offered to local public school systems including teacher workshops, career counseling for students and jurying of visual art contests. 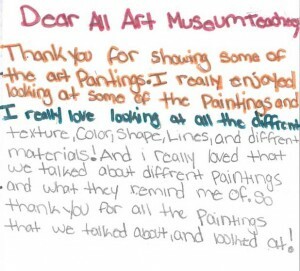 Museum Morning is a collaboration between South Bend and Mishawaka schools, the Snite Museum of Art at the University of Notre Dame, and the South Bend Museum of Art, located at the Century Center. The program, which began in 1980, affords 5th grade students from three school systems the opportunity to visit the SBMA for a docent-led tour. The Art League contributes financial support. Students receive a docent-led tour of the galleries and then participate in a studio art activity related to the sculpture on exhibit. They experiment with basic hand building techniques of slumping, coiling,and slab work. The gallery tour focuses on sculpture from both changing exhibitions and SBMA’s permanent collection. 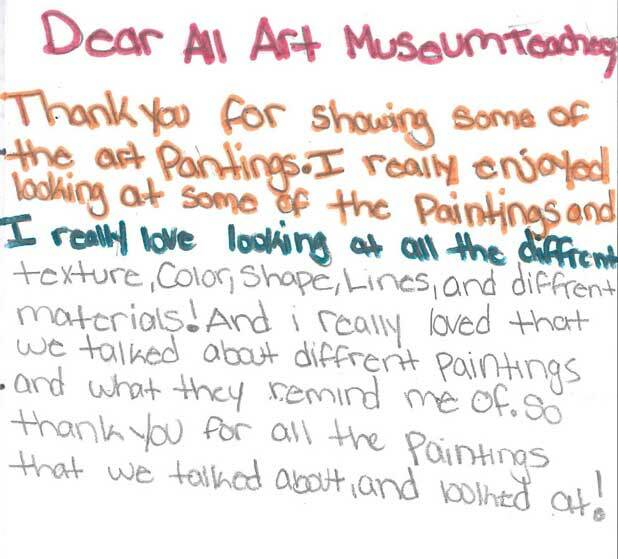 Perspectives is a joint program of the South Bend Museum of Art in collaboration with the Snite Museum of Art which provides 5th grade students with an opportunity to learn about the world around them through the eyes of artists. Students visit both institutions where they tour galleries and meet famous Americans, travel to exciting places around the United States, and uncover new stories about the America we live in. Gallery experiences are enhanced at both facilities through a number of hands-on projects. At the Snite, students participate in a creative writing activity which uses works of art as writing prompts. At the South Bend Museum of Art, students explore contemporary American art before heading to the studios to create a one-of-a-kind work of their own. Perspectives visits occur on Tuesdays and Wednesdays, October through December. Students from Mishawaka schools and area Catholic schools participate in this interactive museum program. The Summer Undergraduate Residency Program, formerly known as the College Residency program, offers a unique opportunity of self-direction for fine arts majors enrolled in area Indiana university or college art programs. The program offers studio space, as well as a series of critiques, workshops, and volunteer opportunities to up to four local college students.